606 Saint Monica Drive Cahokia, IL. 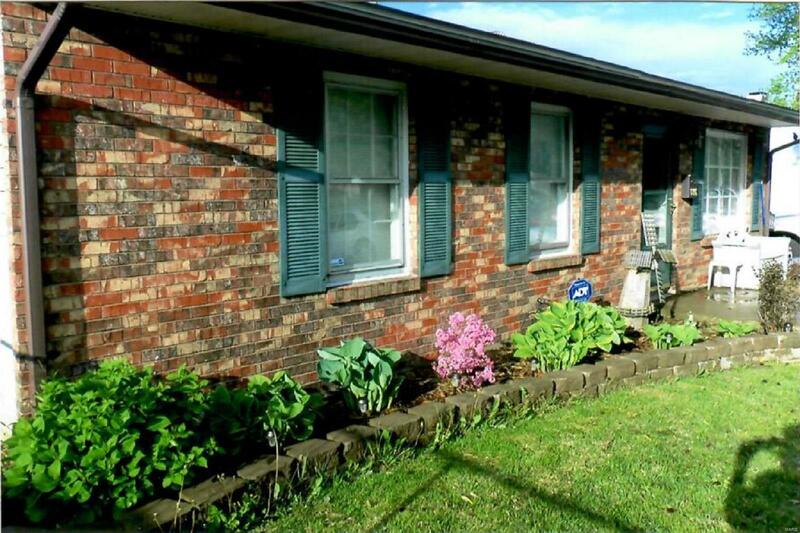 | MLS# 18092384 | Chuck Baer Realty, Inc - Homes for sale and rent in Cahokia, Dupo, E. St. Louis, Belleville, Waterloo, Columbia, OFallon and surrounding areas. CBR Property Management is a division of Chuck Baer Realty, Inc. offering property management and rentals. Move In Ready Brick Combo Home featuring 4 Bedrooms with Double Patio Doors leading from Master Bedroom to Back Yard. Offers a 6 foor chain link fence and an oversized detached 1 car garage with 30 Amp Electric Service. Electric was upgraded 10 years ago, New Roof 6 years ago, New Central Air 3 years ago and a New Sewer Line was installed approximately 4-5 years ago and the Bathroom has been recently totally redone. Refrigerator, Gas Range, Microwave, Dishwasher, Washer and Dryer are included in purchase price. Property has passed the Village Inspection for Occupancy and is a very nice home. All you will have to do is move your furniture in!! !